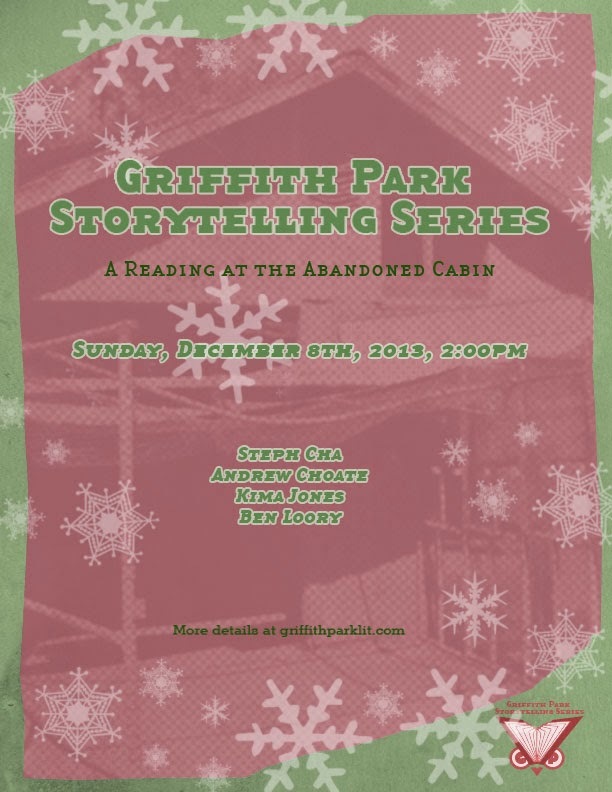 Join us for our last reading of the year at the Abandoned Cabin above the Old Zoo. If you are familiar with the park, make your way to Merry-Go-Round Lot #2. Walk through the trailhead towards the picnic areas and turn left. Take any trail, making your way toward the stairs. Go up the stairs, and you will see the Old Zoo across the open field to your left. Walk past the enclosures until you reach a fork in the road. A paved trail will make a sharp left turn up the hill behind you--walk up this trail to the Abandoned Cabin. We will have signs up pointing the way, and chairs and a refreshment table set up inside the cabin. The cabin is less than a ten minute walk from the parking lot. At the top of the hill, turn right into the parking lot. This is Merry-Go-Round Lot #1. Drive through this lot to the next parking lot, Merry-Go-Round Lot #2. Park here. 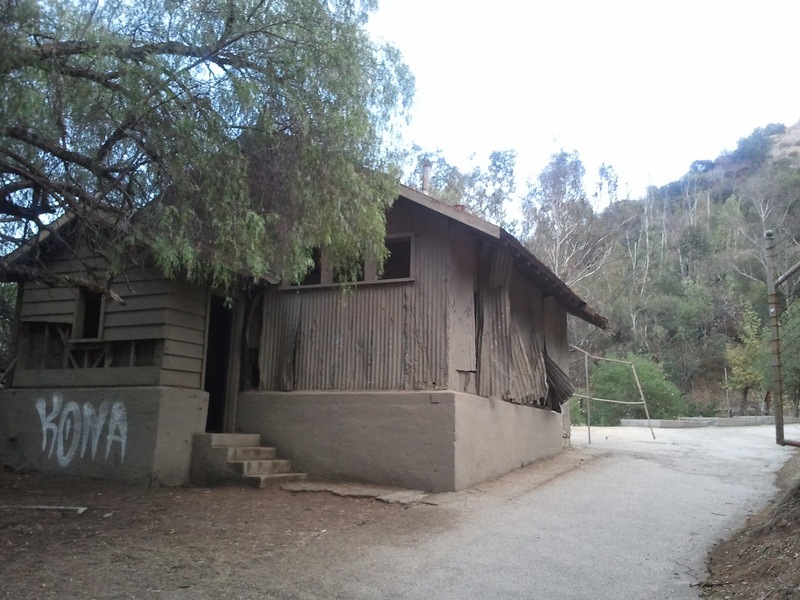 The Old Zoo is a short (5-7 minute) walk from the parking lot, and the Abandoned Cabin is just a minute or two above the Zoo. Continue up the hill past the Old Zoo enclosures. Just past the last enclosure, there will be a paved trail that veers sharply to the left, up the hill. Take this trail up to the Abandoned Cabin. Once past the enclosures, we will have a chair and sign set up at a trail juncture. We will also have signs up along Crystal Springs and along the trails. The Abandoned Cabin is about a ten minute walk from the parking lot. We look forward to seeing you! Steph Cha is the author of Follow Her Home (St. Martin's Minotaur, 2013) and Beware Beware (St. Martin's Minotaur, 2014). Her first published short story will appear in the upcoming fiction issue of the Los Angeles Review of Books. She is a regular contributor to Trop Magazine, and writes Jonathan Gold's Scouting Reports for the Los Angeles Times. Way It Is", "Language Makes Plastic of the Body" and "Stingray Clapping." His next book, "Learning", will be published by Writ Large Press in 2014. He is also working on a book called "260 or 77 Aquariums" that will combine his "Horizon Poems" with his landscape architecture photographs. Ben Loory's fables and tales have appeared in The New Yorker, on This American Life, at WordTheatre, and on Selected Shorts. His book Stories for Nighttime and Some for the Day was published by Penguin in 2011. Hello can anybody attend to this readings? Of course! Everyone is welcome!